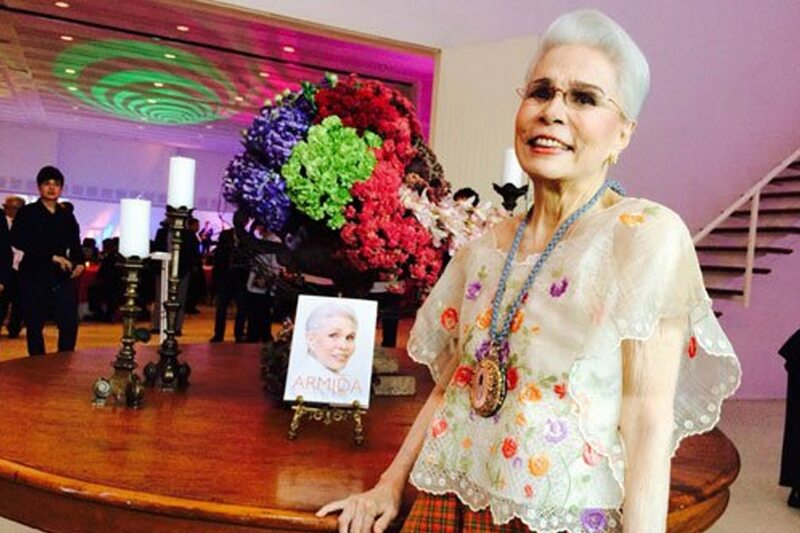 MANILA - Malacañang on Tuesday condoled with the family of entertainment icon Armida Siguion-Reyna, who passed away on Monday. Presidential Spokesperson Salvador Panelo honored Siguion-Reyna, also a former chairperson of the Movie and Television Review and Classification Board (MTRCB), as one of the pillars of the Philippine entertainment industry. "The entertainment world has lost one of its pillars and the Palace expresses its condolences to the family, friends, and colleagues of the former MTRCB Chairperson Armida Siguion-Reyna," Panelo said during a press briefing. "Her voice, whether singing kundiman or advocating free expression, will be missed by many of us," he added. Siguion-Reyna succumbed to cancer on Monday afternoon. She was 88. The Palace also extended its condolences to former Senate President Juan Ponce Enrile, Siguion-Reyna's half-brother. "The condolences also go to the Enriles. She happened to be the sister of former Senator Juan Ponce Enrile," Panelo said. "The Philippines, particularly the music, television and film industries had been immense in terms of the contribution of the late Armida Siguion-Reyna," he added. Siguion-Reyna is also best known for producing “Aawitan Kita,” one of the longest-running musical shows on Philippine TV, and critically acclaimed films such as “Hihintayin Kita sa Langit” and “Inagaw Mo ang Lahat sa Akin."